Via: Mark Oehlert RT @iThinkMedia: [Blog] Trust Me: Math Can Be Fun w/Calculation Nation! 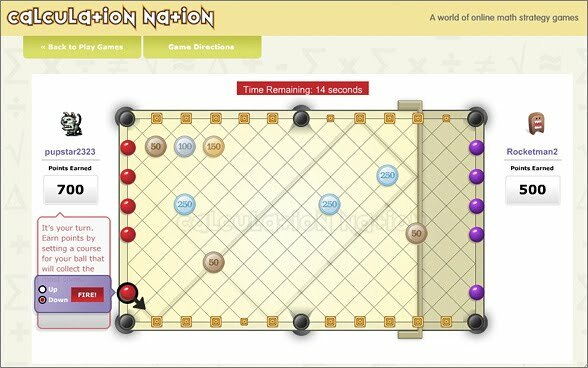 Calculation Nation is a free, easy to use, mathematics game site, offering Serious Games for most K-12 students. Calculation Nation offers students the opportunity to practice their mathematics skills individually or in a head-to-head format playing against other students. 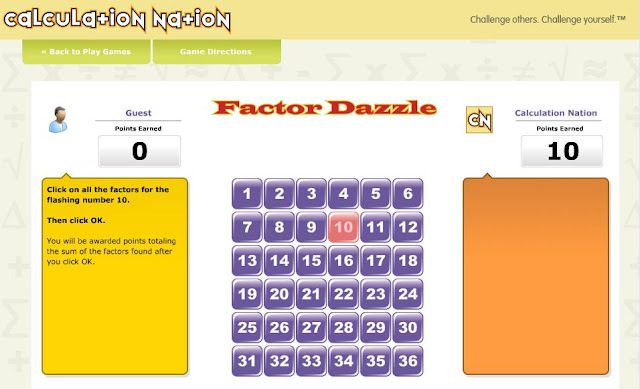 For parents and teachers, Calculation Nation offers suggestions for using Calculation Nation. Calculation Nation™ uses the power of the Web to let students challenge opponents from anywhere in the world. At the same time, students are able to challenge themselves by investigating significant mathematical content and practicing fundamental skills. The element of competition adds an extra layer of excitement. The National Council of Teacher’s of Mathematics (NCTM) hired Interactive Knowledge (IK) to design a system for middle school students to play math-related online games against live opponents. The site features five online games and a customized game room where thousands of students can challenge one another to test their math skills. Before going live, Calculation Nation was tested by hundreds of math teacher’s during NCTM’s annual conference held in April 2009. The game Factor Dazzle, for example, is dazzle-icious! Find all the factors of a number to earn points. Then, choose a number for which your opponent must find the factors. In the game Slam Ball, the math concepts covered are symmetry, reflection, angles, and patterns but I wouldn't have guessed this when I started playing because it was so much fun and I wanted to win! Hit tokens, collect points! Slam the ball into the sides of the game board, and use your knowledge of angles, symmetry, and reflections to choose the best path.Another great feature of the site is the supporting material and information. 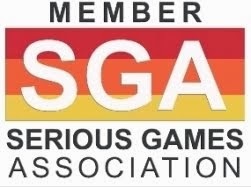 As a parent or educator this site provides you with the math concepts each game addressed along with giving you hints and tips on pointing to these concepts when using the site as a teaching tool. Calculation Nation™ is part of the National Council of Teachers of Mathematics (NCTM) Illuminations project, which offers Standards-based resources that improve the teaching and learning of mathematics for all students. Its materials illuminate the vision for school mathematics set forth in NCTM’s Principles and Standards for School Mathematics and Curriculum Focal Points. Illuminations is also part of Thinkfinity.org, a comprehensive educational website funded by the Verizon Foundation to provide free educational resources to parents, teachers, and students. Thinkfinity.org is the cornerstone of Verizon Foundation’s literacy, education and technology initiatives. 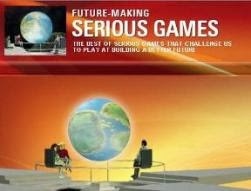 The goal of Thinkfinity.org is to improve student achievement in traditional classroom settings and beyond by providing high-quality content and extensive professional development training.